There are so many ways to play bingo online these days, we’re big fans of Virtue Fusion bingo sites. Read all about why we like them and how they stack up in this article. Arguably one of the largest sites in the UK, Mecca Bingo is an excellent place to check out this software. Spend £10 & get £40 in bonus funds! We’ve all heard the catchy tune on the telly for this bingo site and it really lives up to expectations. They offer newbies a spend £10, get £30 free deal! Prior to claiming these offers, we’d recommend that you read the T&Cs on site. Virtue Fusion is a company behind a group of sites, they’ve been online for decades now. The company was established back in 1999 and are located in Alderney, which is a British territory in the Channel Islands. This means that they are a UK company but don’t necessarily need to follow all of the regulations they would in the UK. This is a common concept, which is why many bingo providers have headquarters in places like Gibraltar. Virtue Fusion owns a massive bingo network and in partnership with Playtech they provide them with bespoke gaming options.  In simple terms, they work and are owned by Playtech, who use them to distribute their games. While you may find Playtech software on other sites, only Virtue Fusion have access to all of their creations. Virtue Fusion was bought over by Playtech a number of years ago, which caused a few ups and downs for players. Although there was a bit of a transition period, it’s turned out to be a positive change as it gives players more choice in gaming. With this improved flow of cash into the company, they could also afford to innovate new rewards and create brand new sites. Which Bonuses can you find on VF sites? Some players get a bit confused with the welcome offers on these sites, as you have to deposit and spend before you get your bonus funds. This can actually be quite good, as it means you play with your real cash first before getting involved with wagering requirements and T&Cs. You may be accustomed to loyalty schemes but the ones on Virtue Fusion sites are really in a league of their own. They’re credited on a monthly basis and give you prizes of real value. There are loads of refer a friend offers on these sites, though the exact amount that you will get for doing so will vary. They range from £5 to £10 in funds and can generally be claimed as many times as you like. Generally, you can find some one off offers in the form of Virtue Fusion bingo bonus codes. Mecca and Sun Bingo distribute these to their players often. These can be sent out by email, text or even shared on social media. Then, you can use them to top up! 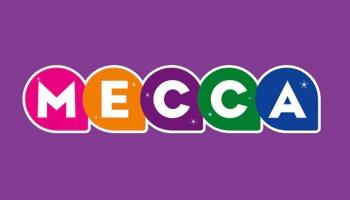 Previously, they’ve had no deposit bonus codes for £2 to play with code 2MECCA, which was amazingly popular a few years back. 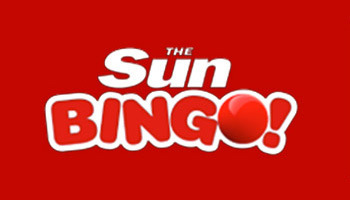 Sun Bingo had a massive code weekend when they first went mobile too, this was another great promo for players. Sites can also have their own unique offers too, so keep your eyes peeled! What are the Wagering Requirements on VF sites? With all of these bonus offers and promos, you’ll want to have a think about the wagering requirements that will apply. These will vary from site to site, generally wagering requirements on bingo are from 3 to 4X and for instant games they’re around 30 to 40X on some VF sites. A wider range of exclusive rooms, as they try to make their sites more diverse and unique. New payment methods like Paysafecard and Skrill to give players more flexibility. Some new sites focus on one specific game or theme, like Deal or No Deal, then host all games based on that theme. Many newer sites from Virtue Fusion are twinned with one of their betting or casino brand in an effort to draw in new players. These make their own mini networks, which often boast special offers for those that play on all their sites. Networked promotions and jackpot rooms. Some new games are rolled out exclusively to one site before being available across the network. Generally, it’s the more established sites that get first pick. If we could choose things that they would add in future, the top of our list would have to be a no deposit bonus across the entire network. This would allow us to try before we buy, which we’re always fans of. Offering small, no deposit offers across a couple of select sites. Boosting the percentage amount you get on your first spend on certain sites. If you’re looking for something in particular from one of these sites then you can look across the network for ones that match up to your ideal. Whether you want to play with no deposit, with a £5 deposit or with lots of bonus funds, you will find the perfect site for you. The offers can differ on these sites, even the same site can provide different offers at different times, so just keep your eyes peeled. How do they Compare to Other Providers? What Bingo Games are Available on VF sites? 75 ball bingo – A standard game you can play around the clock. 90 ball bingo – Very common on this network, with most sites boasting several of these rooms. 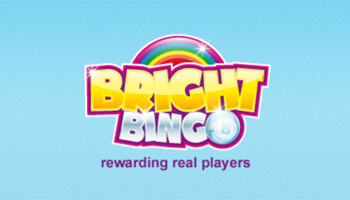 Rainbow Riches Bingo – A hybrid game that pairs up the cheeky leprechaun from the slot with all the fun of bingo. Deal or No Deal Bingo – Call a full house then take to the red boxes for your chance to beat the banker. Britain’s Got Talent Bingo – Based on the reality television show, you’ll be treated to soundbites from the judges as you play this glam version of the game. 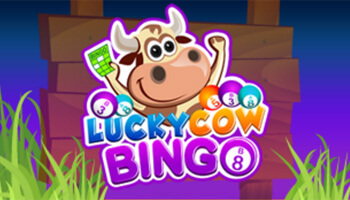 Cash Cubes Bingo – An instant win game that has you completing numbered cubes to win the jackpot. Chat games – If you’re a social player then you can get gabbing in these rooms too. Their chat hosts are always available to spice up games with some additional freebies and bonuses. As you can see, they love their branded games on these sites! They have deals with all sorts of production companies to snap up the latest branded rights and create games based upon them. Don’t worry though, even the traditionalists can enjoy their standard games. What Special Games are offered on Virtue Fusion Sites? Age of the Gods Slots and Roulette – Fans of Greek mythology will love these games, you can play the progressive jackpot slots or the casino games. Either way, you could be in it to win millions! Batman and Catwoman Cash – This action packed adventure is among one of our favourites to play. It’s based on the campy Adam West version of Batman, so you can expect a lot of silly fun. Batman and the Joker Jewels – Take on Batman’s greatest enemy in this game, as you join him on the quest for some serious treasure. This 5 reel, 3 row slot packs in a lot of bonuses. Batman and Mr Freeze Fortunes – Who could forget the evil villain Mr Freeze? He’s back in this jackpot slot game and it’s your job to join Batman and take him down for good. Batman and the Riddler Riches – You’ll need your thinking cap for this game! We love this game because it has stacked reels, which makes it even easier for you to win! Batman and the Penguin Prize – Prepare for stacked symbols and respins when you fire up this batman slot game. There are 6 reels to play with in this game with loads of special features to unlock too. Wild Toro – This bull themed adventure game is an excellent example of what to expect from these sites. It’s Spanish styled and really a lot of fun. Fortunes of the Fox – This animal themed game comes with a whole load of bonus features. Help the fox to hunt for jackpots and you might just get an infusion of cash. If you choose to play on Virtue Fusion sites, then definitely check out these games. 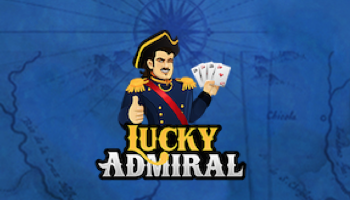 What Progressive Games and Slots do they Offer? Cat in Vegas – This neon styled game features a globetrotting cat and a massive progressive jackpot. Trigger the jackpot through the bonus feature and you could win a bumper prize. Mega Jackpots – This series of linked progressive jackpot games has quite a few titles contributing to a shared cash prize. Wolf Run, Cleopatra and Siberian Storm are top notch progressives in this series. Mega Moolah – This millionaire making slot game is undoubtedly one of the most popular progressive jackpot games on the internet. There are a total of four progressive jackpots up for grabs, spin the prize wheel and you could win the big one. There’s a lot on offer with Virtue Fusion sites, whether you’re a brand new player or a more experienced one. There are a lot of players that swear by their sites, though this shouldn’t stop you from testing out other platforms too. Just check out our suggested sites to make the most of their network. Before you go: check out our list of new bingo sites!